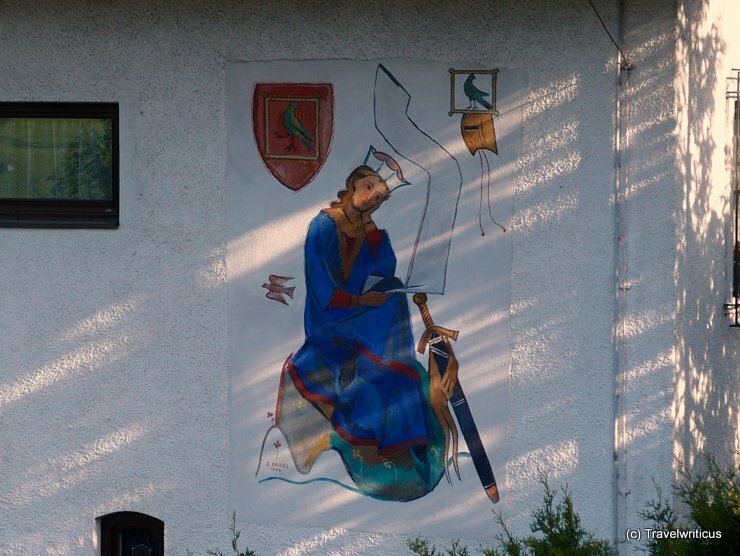 This mural on a private home in Lermoos (Tyrol) shows a replica of the probably most famous portrait of the singer Walther von der Vogelweide. This entry was posted in Murals and tagged Austria, Lermoos, Tyrol by Travelwriticus. Bookmark the permalink.